Yesterday, it was reported that the NSA has nearly complete backdoor access to Apple’s iPhone. AllThingsD reports Apple has released a statement claiming they never worked with the NSA and is unaware of the alleged program called DROPOUTJEEP. 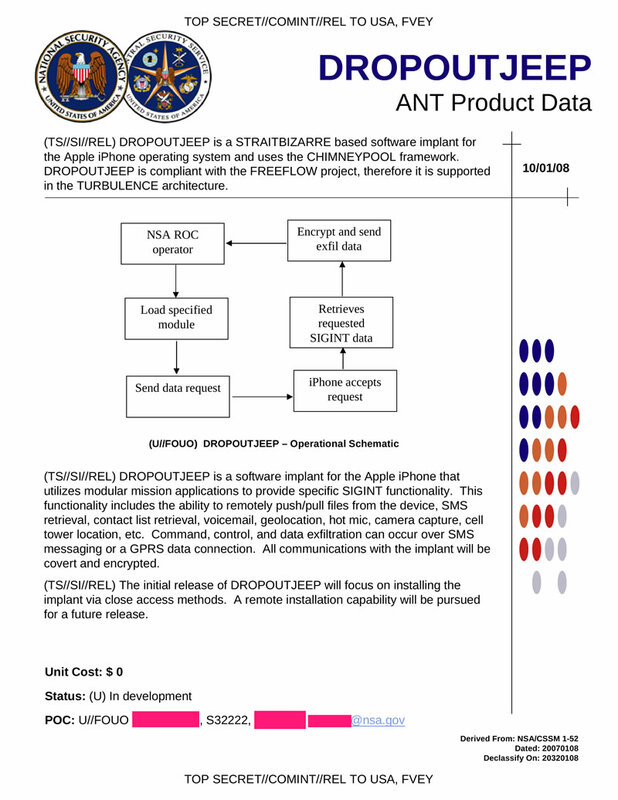 According to documents leaked by Der Spiegel, DROPOUTJEEP is software that can be implanted on an iPhone and could gain access to any outbound communications like SMS, take control of the camera and microphone, and even get your contacts list.